He was highly regarded by everyone in the Wivenhoe community. St Mary’s Church was packed with family, friends, and colleagues from the police force and the Royal Mail for the funeral of Sid Cox, who died suddenly on 17 February 2007 following a fall at his home. Sid was a traditional bobby, was always willing to help and touched many people’s lives. 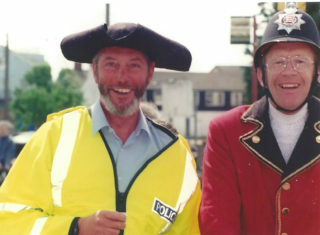 Sid joined the Essex Police in 1967. 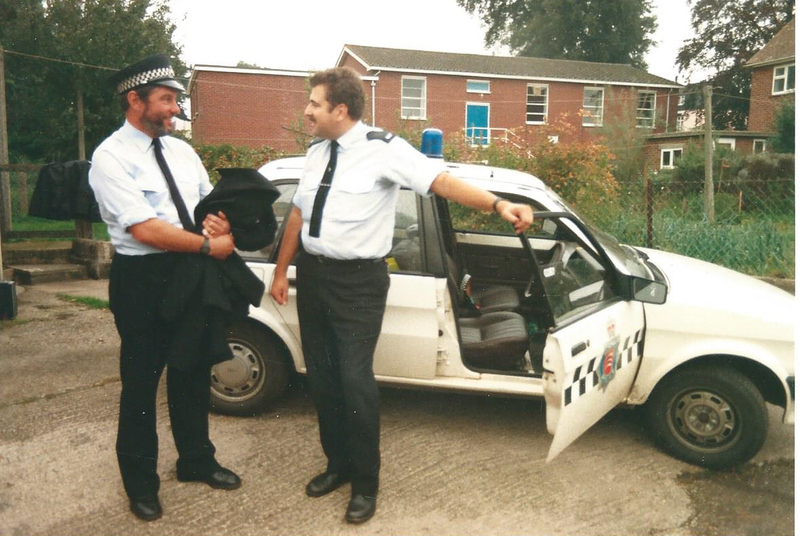 He served in Brentwood and South Benfleet, winning two police commendations. In 1972 he and his wife Sally came to Wivenhoe and for 25 years Sid was the bobby on the beat. 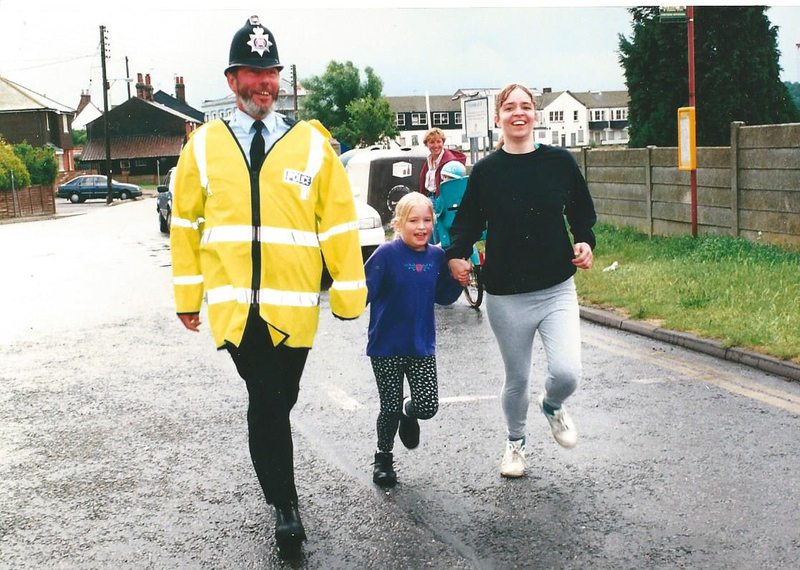 Towards the end of this time he was one of two Wildlife Officers covering the Tendring area (Wivenhoe was then in the Clacton police division). 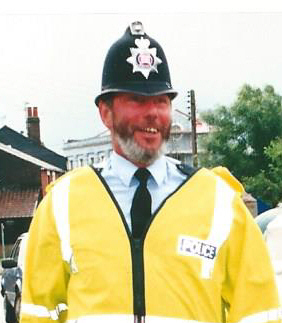 At the time of the miner’s strike in 1984-85, Sid was seen on TV in the front line of the police holding back the pickets so that the coal lorries could leave Wivenhoe Port. 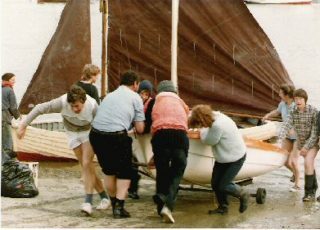 With his overtime pay from the strike he bought a dinghy, painted it red and called it Arthur, after Arthur Scargill. On retirement Sid became a postman in Great Bentley and later Alresford. 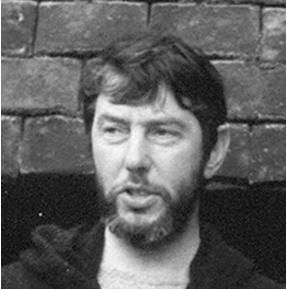 Sid was very much a community person, becoming a member of, and actively taking part in, several groups. The following are some. Shortly after arriving in Wivenhoe, Sid went to see Peter Overton who ran the Wivenhoe Youth Club at the Phillip Road Centre and became an assistant leader, a post which he held for 19 years. This was a tremendously active and successful youth club and Sid was very popular, gaining the confidence of the young people, many of whom he helped with their problems, and if necessary encouraged on the straight and narrow. The Club was open five nights a week and usually at weekends. Sid joined one of the annual holidays in the Pyrenees, when around 40 youngsters would enjoy climbing, canoeing, caving, white-water rafting and pony-trekking. He also helped to convert an old mill out there for the youngsters to use. Sid and all the staff were involved with the county disco-dancing events, the youth club winning eight out of thirteen of these events, also the five-a-side football, the pool competitions and canoeing trips on bank holidays. All in all Sid was an indispensable leader at the youth club. From its early years, Sid was an enthusiastic member of the Wivenhoe Pantomime Group. The audience especially liked him on stage as the Fairy Godfather in Cinderella because they could boo at their local bobby! He also played Ali Baba, and Peking Sid in Aladdin, and Dopey in Snow White and the Seven Dwarfs. The Gilbert & Sullivan group drew Sid into their ranks and he was to be seen in many of their productions. Sid was a member of the Sailing Club, and was an enthusiastic member of the Cricket Club social team, playing in the Wednesday evening matches. He was well known for his slow left arm bowling. At various times Sid was a general committee member of the Wivenhoe Allotment and Gardens Association where, as a policeman, he could advise on security matters. Latterly, he was a volunteer for projects run by the Countryside Ranger in Wivenhoe Woods. 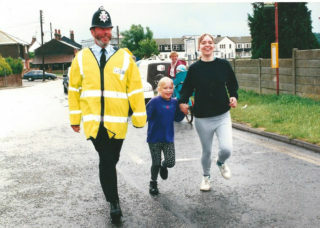 Sid was at one time vice-chairman of the governors of Broomgrove School and for several years took cycling proficiency classes at Broomgrove Junior School. Sid leaves his widow Sally, and son Stephen. It is good to know that Sid is so fondly remembered by so many people. The large congregation at the funeral service at St. Mary’s was a great support to myself and to the rest of Sid’s family. As I come to accept, although not come to terms with, Sid’s tragic and untimely death it is some comfort to know that he will be missed in the Wivenhoe community and that his strong belief in public service continues. Sid never tired of talking about Wivenhoe and enjoyed being part of it. I write this as Sid’s big brother, by five years, and so may be biased. Sid was a gentle man. He was a serious man and a great lover of nature. He was a much loved brother, brother in law and uncle. These things also apply to his little sister Eva (Jane) and her family. It goes without saying that he is also a much loved and missed husband and dad. It is good to know that there is a move afoot to have a memorial for Sid. The style of any memorial is a matter for the people of Wivenhoe but I feel that something that recognises Sid’s commitment to young people and his love of wildlife, particularly ornithology, would be very appropriate. Please pass on to the people of Wivenhoe, especially that congregation in St. Mary’s, the thanks of myself and my family for their wonderful appreciation of my brother’s life. 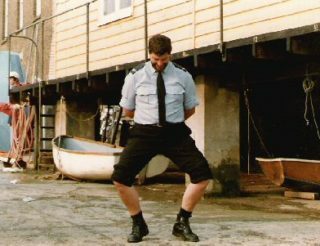 Note: This tribute to PC Sid Cox who, after retirement became a postman, was first published in the Wivenhoe Encyclopedia. This page was added on 04/03/2017.